Ms Hathairat Phaholtap (Wist) works with the Thai PBS Television as a senior reporter at their investigation desk. She is also a human rights defender and a documentary film maker who is dedicated to presenting human rights issues, especially during a time where press freedom in Thailand had been restricted and freedom of expression was limited. Phaholtap recently got recognition from Thailand's National Human Rights Commission (NHRC) for her work. In 2014, the elected government of Prime Minister Yingluck Shinawatra was deposed in a military coup-detat and Thai PBS, along with 24 other television channels, were shut down by the military. Phaholtap recorded videos of herself reporting the turn of events in the streets of Bangkok and uploaded them on social media—Twitter, Facebook, and Youtube. In absence of mainstream media reports, these online videos went viral. In an exchange over email with EngageMedia she tells her story of courage by presenting the truth to the people of Thailand. Below are excerpts from the interview. EM: How did it all start? Wist: In 1999, I wanted to be a writer and went to study communications at a university in Bangkok. After graduation from the university, I got a job in a local newspaper as a journalist. For seven years I worked as a reporter covering usually politics. Then I decided to move to television because I thought that newspapers were becoming less relevant. As I started to work in TV, I discovered that I’m passionate about presenting the news on TV. EM: Can you tell us in details about some of your notable films? Wist: I do not think any one of my films are more or less relevant than the other. I like all of them because I dedicated all my energy working on them. However, there are 3-4 films that were impactful and were able to make a change in the society. The first one is the story about the conflict and peace in the southern border provinces of Thailand. Produced 5 years ago, this film was about a medical student who was detained by authorities and was not being treated fairly. Two weeks after I presented the film, the medical student was released and now he is a doctor at a public hospital in Bangkok. I cannot describe my feelings after I found out that he had been released. It was a joy that I had never felt before. Later, the film won the Human Rights Press Award from Amnesty International of Thailand. The second story is about the impact of gold mining in the Central Region of Thailand. I discovered that mining in the area had caused pollution in local water and soil. The villagers were sick from chemicals which had leaked from the gold mine. I have been reporting on the impact of mines from 2014 onwards. In 2016, the mine was closed by the government after the scientists confirmed its adverse effect on the local people. In 2016, this story got a press award from Amnesty International, Thailand. Anoth er story from outside the country is also worth mentionable. It was the story of the Rohingyas who escaped the fate of genocide in Myanmar and entered Bangladesh. Many foreign news agencies were interested in this issue but only a few Thai media had traveled to report the situation in refugee camps in Cox’s Bazar, Bangladesh. Five years ago when many Rohingyas migrated from the Andaman Sea to the southern provinces of Thailand and became victims of human trafficking in Thailand, their plights caught my eyes and I have been monitoring this issue ever since. Last year, my story received a Human Rights Press Award from Amnesty International of Thailand. EM: Which would you say is your favorite, among the films or reports that you've made? Wist: I like all the movies that I made - I cannot say which one is my favorite. Every movie has a special place in my mind as they have meaning for me behind the scenes. If I only have to choose one, I might say I like the story about the deep-south, Thailand because I want to see “peace” after I screen them. I felt the urge to make them because I needed my films to help resolve the violence in that war zone. I think the three provinces of the southern border (Pattani, Yala, and Narathiwat) have seen enough violence. The film should be completed very soon. EM: What is the background to the story? Wist: Every time I went to the southern border provinces I felt uncomfortable and insecure. In addition, I saw tanks used in local area and I saw battle at every corner. I saw military checkpoints all along the ways that I passed. I saw machine guns even in primary schools. I saw the distrust of the local people of the military and the government officials. I'm an outsider, but I am hopeful that they will end the violence with a peace talk. Wist: Every time I filmed for this story I felt that I grew up. I learned a lot from traveling and talking to people. And it is very good if each documentary that I present can create opportunities for others. This is enough for a journalist. EM: What first attracted you to work as a reporter? Wist: When I was a student at university I saw a reporter in a news TV station doing very good investigative reporting. At that time, I told myself that one day I will be like them. When I had the chance to become a TV journalist, I did not hesitate. EM: What are the challenges for you working in Thailand especially with current Social-Politico situations? What's the major threat now? Wist: Reporting in Thailand after the military took over the country was quite difficult especially if you were covering political issues. Three-year ago, I presented a documentary titled “one year after the coup” which focused on freedom of expression of people after the coup. While I was working on this topic, I got a lot of pressures from different wings of military but I did not fear to carry on with my tasks. I completed three episodes of the series. After they were aired, they became the talk of the town because at that time only a few journalists dared to cover this kind of story. I realized that we won’t have freedom if we were scared to speak out. That situation have passed and from that moment on I am never scared to speak out even though at present the Junta's era still persists. I'm still covering political issues and also highlighting some forbidden issues. EM:. How can online distribution help your work, and what are your thoughts on online and offline distribution? EM: I knew the influence of social media after the 2014 coup in Thailand. After the military Junta took power from the elected government on May 22, 2014, all TV channels were ordered to stop broadcasting. The National Council for Peace and Order (NCPO) took control of broadcast media. At that time, I used social media for reporting the forbidden situation to public and they went viral for the Thai community. I think reporting online is a free platform that I can use without paying. It is the best way to use whenever the main stream media are under the control of the government. Wist: I am still interested in highlighting human rights abuses. I continue to cover human trafficking issues including the situation in Rakhine State, Myanmar. Of course, I still care about the violence in the southern border provinces of Thailand. I am preparing to make a film about the missing persons and the tortures in the southern border that is a huge problem in the area. Wist: Definitely, I believe films can change the society that is why I am still working as a journalist and a film maker. I think if the journalists are able to work hard enough our society can change for the better. 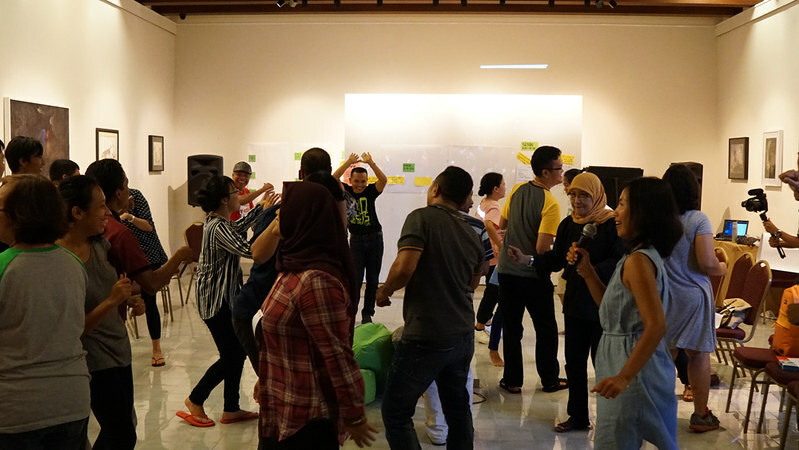 From 23 to 27 October 2017 in Indonesia, EngageMedia, the Association for Progressive Communications (APC), and the Southeast Asian Press Alliance (SEAPA) along with key regional allies, hosted COCONET, a Southeast Asia Digital Rights camp. 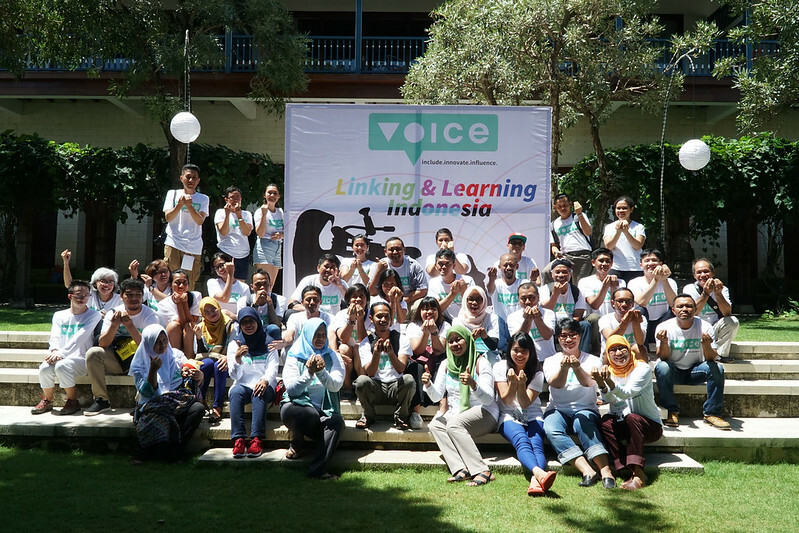 With over 100 participants Southeast Asia and beyond, the camp was a great platform to share and exchange ideas, projects, skills and tools. Some of the goals also included looking at potential collaborations between participants post-event and building a regional movement for digital rights. In this post we'd like to share video interviews featuring some of the interesting people who are working on digital rights and human rights issues in their respective countries. They speak about their work and their experiences as well as learnings at COCONET. The interviews were recorded by filmmakers who were participants themselves. Read more about COCONET here. Social struggles and movements have changed over time, constantly adapting to realities of the challenges and technologies of the day. As the ASEAN (Association of Southeast Asian Nations) ICT Master plan picks up pace, and people across the region invite digital technologies into their lives in more pervading ways, the effects of technology on people and human rights challenges online should not be ignored. In line with this, EngageMedia and the Association for Progressive Communications (APC), collaborated with EMPOWER Malaysia, Southeast Asian Press Alliance (SEAPA), and Viet Tan to hold 'TECH. ACTIVISM. HUMAN RIGHTS. ', a roundtable discussion on the state of activism and digital rights in Southeast Asia on 10 November 2017 at the Journalism Department of University of the Philippines Diliman, College of Mass Communications. Over 35 human rights defenders from ASEAN region met to discuss a range of challenges they are facing online. The participants of the roundtable debated on the role the internet has played in addressing social and political issues in the region. “Religion is a burning issue in Indonesia. Hate has turned into a business for economic and political gain, executed in a professional and organised manner,” warned Anton from SAFENET Indonesia. Discussants from the Philippines debated over the validity of the discourse on “fake news”, stating that the phrase is an oxymoron and that the real issue rests with disinformation, the solution to which can only be more news, more speech, and not criminalisation. Ed Legaspi of SEAPA explained that, “the rights we enjoy and are entitled to offline apply online as well. Therefore, the guarantees including freedom of expression should remain the same online as has been affirmed by the United Nations Human Rights Council repeatedly.” Gayatri Khandhadai of APC added by saying, “human rights are not platform specific and we carry our rights to all spaces, irrespective of whether they are online or offline.” Several concerns were raised about laws being applied to online activities which criminalise expression and stiffen democratic discussions. Touching on the efforts made so far in ASEAN, Lisa Garcia of Foundation for Media Alternatives noted that, “there is a pressing need for individuals to engage in internet governance spaces including national and regional fora.” Nica Dumlao, EngageMedia’s Digital Rights Coordinator added by saying that, “we need to take technology-related discussions to all our spaces and communities, it is an issue that affects us all”. Nica noted that the roundtable discussion is part of a bigger initiative of digital rights organizations in Southeast Asia to raise awareness on digital rights and how technology is impacting the work of civil society. 'TECH. ACTIVISM. HUMAN RIGHTS' was one of EngageMedia’s activities during the ASEAN Civil Society Conference / ASEAN Peoples Forum 2017 (ACSC/APF 2017) in Manila, Philippines. 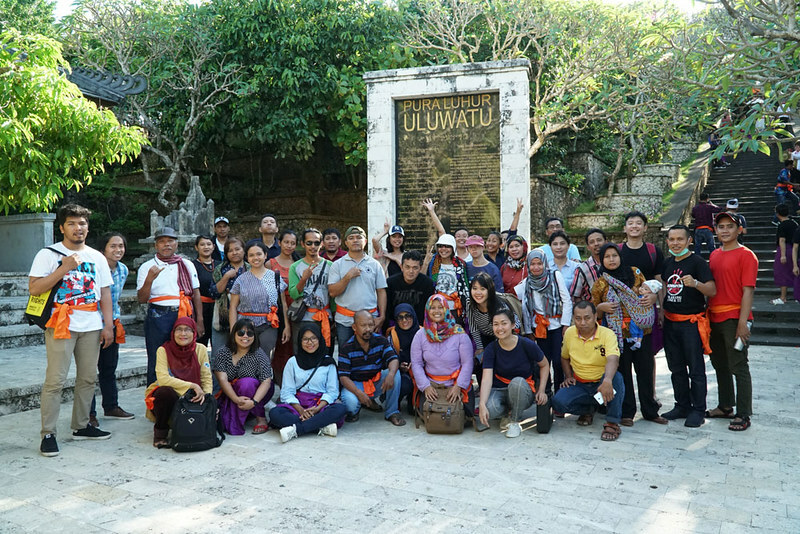 The ACSC/APF is a solidarity gathering of diverse civil society organizations (CSOs) in Southeast Asia, which organizes its own parallel activities during the ASEAN Summit. EngageMedia also collaborated with feminist & queer activists and organized a pop-up installation and discussion entitled, “Imagining a Feminist & Queer Internet in Southeast Asia” on 12 November. Video has been utilized for human rights documentation and advocacy for quite some time now and it’s power and impact seem to continuously grow. We now know that there are about 1.5 billion registered users visiting YouTube every month. That’s a huge number for an audience which is increasing day by day. But aside from the numbers, video has also acted as a catalyst for events that bring about social change such as the Arab spring, or has helped propagate another war. One of the related sessions at COCONET 2017 (a Southeast Asia digital rights camp that was recently hosted by us at EngageMedia and partners) was ‘Video and Technology for Human Rights Documentation’. 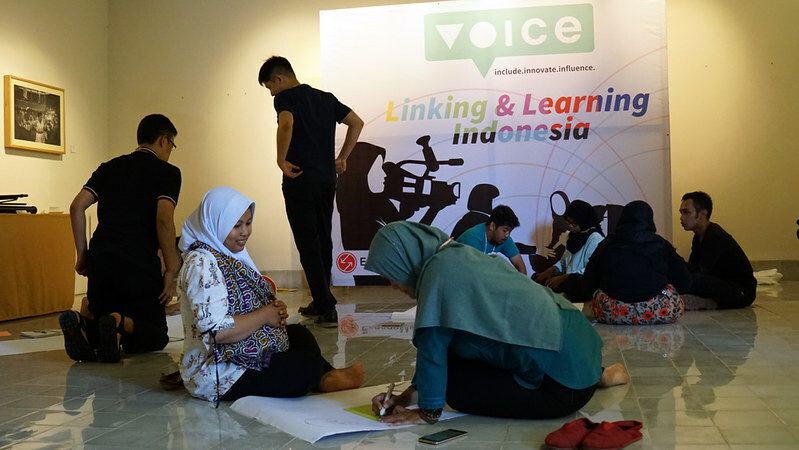 The session was delivered by Prakkash from WITNESS and Yerry Borang from our organzation who explained how activists, journalists, and human rights advocates can maximize the benefits of using video and technology in their work. With HD, DSLR and hidden cameras becoming cheaper and more affordable, it becomes increasingly feasible for advocates to use video in their work. It’s also become more common and handy to use drones for advocacy, whether to be used as an alternative source for evidence or to document police brutality. Today there are several useful tools and apps such as Camera V, which is one of the best ways to capture and share verifiable photos and videos on a smartphone or tablet. With this app, individuals working in difficult and high-risk situations can easily capture and gather visual evidence of rights violations and abuse of power. It can also be used for documenting personal matters such as those related to accidents, real estate and more. All this evidence can later be verified or used in court or to prove that an event or incident actually took place. Another interesting app is Obscura Cam, which can be used as a tool to remove metadata such as geo-location or obscure faces for anonymity. This gives people the power to better protect themselves and the identities of those captured in their photos before they are posted online. It can be used as the default camera app on a device to take a picture, and also select photos or videos that were already taken to automatically detect faces that can be pixelated, redacted (blacked out) or hidden with a comical nose and glasses! There is also a function to invert the pixelation, so that only the person selected is visible, and no one in the background is recognizable. The app also removes all identifying metadata stored in photos including GPS location data, device model, and any internet access points. The edited photograph can be exported or shared directly to Facebook, Twitter and many other platforms. It’s also best practice that people who want to use these tools and apps always keep in mind journalistic ethics and research on their local laws in order to understand the legal boundaries in using them in their specific locations. View more blogposts and videos from COCONET here.